Saftron DR-232 Pool Deck Rails (Set of 2 Rails). Two Bend, Deck Mountable Inground Pool Handrails 24" H x 32" W. Matching Color Escutcheons Included. 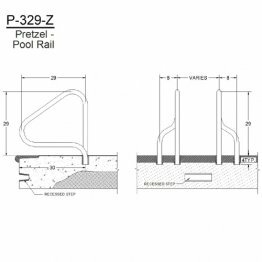 Saftron DR-236 Pool Deck Rails (Set of 2 Rails). Two Bend, Deck Mountable Inground Pool Handrails 24" H x 36" W. Matching Color Escutcheons Included. Saftron DR-240 Pool Deck Rails (Set of 2 Rails). Two Bend, Deck Mountable Inground Pool Handrails 24" H x 40" W. Matching Color Escutcheons Included. 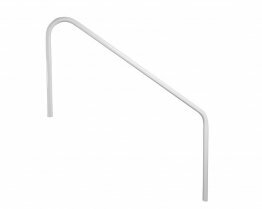 Saftron P-326-RTD Return-to-Deck "Figure 4" Swimming Pool & Spa Handrail. Three Bend, 30" Tall x 26" Wide. Matching Color Escutcheons Included. 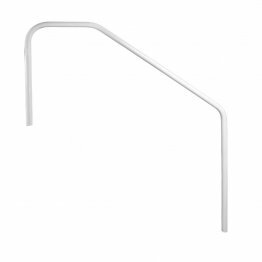 Saftron Two-Bend, Deck-to-Pool Handrail, 32" High x 48" Wide Swimming Pool Rail. 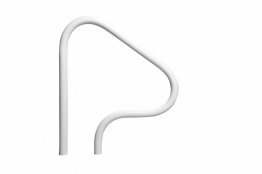 Matching color escutcheons included. 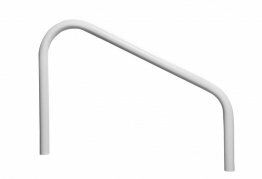 Saftron DTP-260 Deck-to-Pool Handrail. Composite Swimming Pool Rail. 60" Width between posts. Matching color escutcheons included. 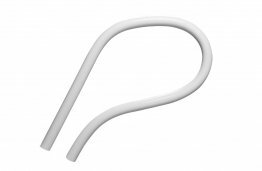 Saftron DTP-348 Three-Bend, Deck-to-Pool Handrail, 32" High x 48" Wide Swimming Pool Rail. Matching color escutcheons included.